Public Administration is a registered periodical. It publishes research into public administration from a historical perspective to enrich and inform the ongoing practices of public administration officials, the business community, and non-profit organizations. In keeping with these aims, practical as well as theoretical examinations of social and political policy continue to be a primary focus. The Journal is registered in the Federal Service for Supervision of Communications, Information Technology, and Mass Communications (Roskomnadzor), December 23, 2011: Registration certificate PI № FS77-47979; International Standard Serial Number ISSN 2070-8378. 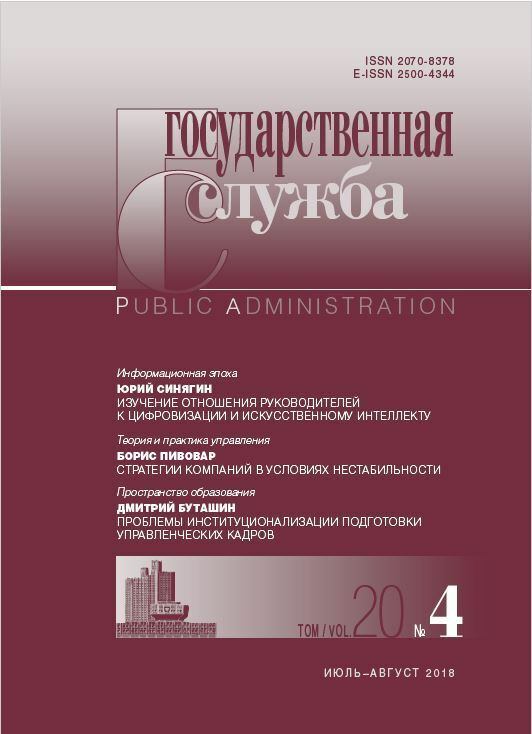 Public Administration is defined by the Higher Attestation Commission of the Ministry of Education and Science of the Russian Federation as a peer-reviewed publication and recommended for those wishing to publish dissertation research in the following areas: political science, philosophy, sociology, cultural studies, economics, history, pedagogy, psychology, and law. Additionally, it is included in the Russian Science Citation Index (RSCI). The journal consolidates expert opinion on the issues of public service and administration, and accepts for publication only original and previously unpublished articles on problems of theory, historical perspectives, and modern developments in civil service and public administration. All issues are peer-reviewed for authenticity, plagiarism being automatic grounds for exclusion. For the requirements please follow the page marked «For Authors». 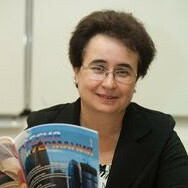 Public Administration is published six times per year in Russian and English; a full-text version is provided online. The editorial staff holds meetings with readers, provides guidance on field sessions, and conducts seminars for novice editors of scientific publications. 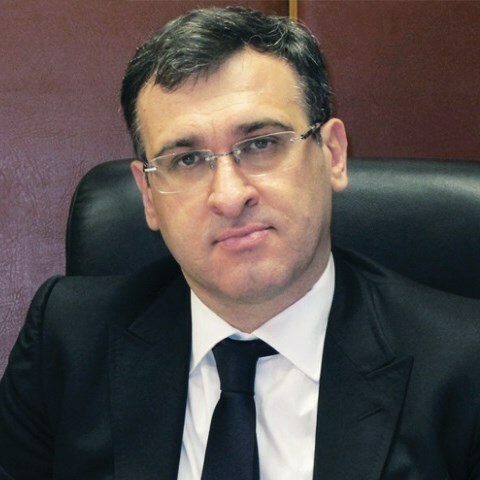 The journal is a subdivision of the RANEPA’s Institute of Public Administration and Management with autonomy in decision-making. It is solely responsible for the evaluation of all submitted manuscripts to provide and maintain the highest standards. Carrying out its activities, the editorial board draws on the Editorial Council, operational management of which is provided by the Editor in Chief and the editorial board. The journal is distributed by subscription and at retail.